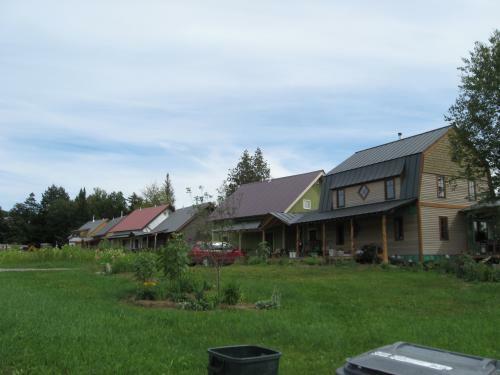 White Pine Cohousing is a six unit community on 41 acres of meadow and forest land located in rural central Vermont, just outside of Montpelier. The houses are clustered on the south side of the seven acre meadow to enhance solar exposure and maintain the open fields for gardens, wildlife and activities. We aim to create and maintain a residential community that both respects individual needs and expects member participation in managing the social and physical requirements of the community. We have village-like informal connections and use a consensus decision-making process. Our individually owned homes were built with environmentally sound construction, are super insulated, share a common heating system and have small ecological footprints.